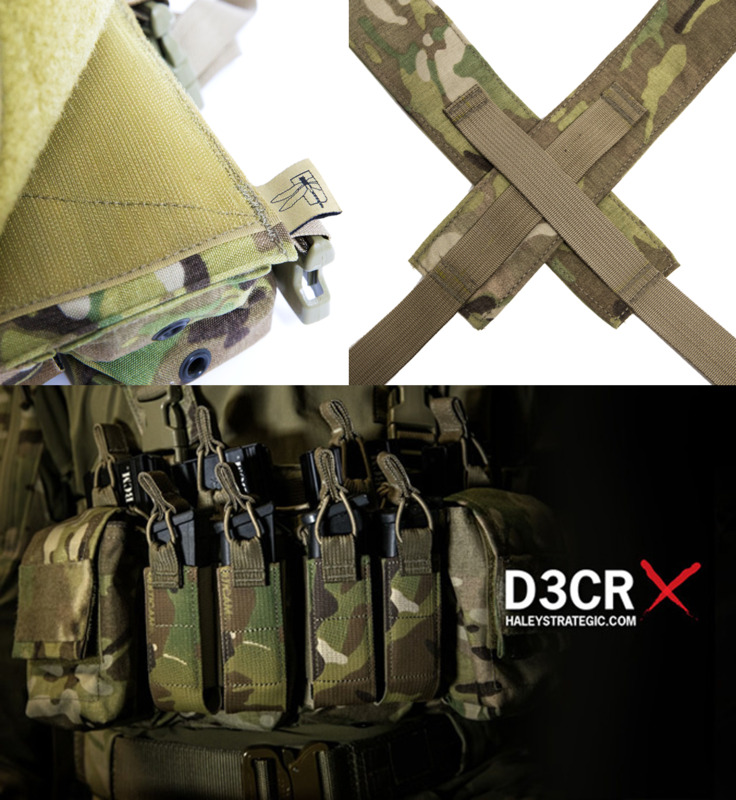 The NEW Disruptive Environments Chest Rig X has been redesigned to improve comfort, storage capabilities and work seamlessly with D3CR accessories. The X harness was added for comfort and ultimate adjustability. The addition of 2 Multi-Mission pouches allows the rig to be more streamlined and carry mission essentials where they count. 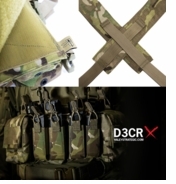 The full field of velcro allows the rig to be outfitted with the latest D3CR accessories as well as assist in the full contact connection with plate carriers. Just like it's predecessor, it is designed and optimized for work in urban, vehicle, rural and other confined settings. Driven by mission versatility. When used as a stand alone, the platform is low profile enough to be worn fully loaded and not print on a normal/loose fit jacket or sweatshirt. When used on a armor platform with a quick release system, such as SwiftClips™, it can be attached or stowed in seconds, giving the end user the versatility to transition from low vis to high vis or vice versa. The rifle magazine pouches accept AR 5.56 type magazines as well as AK 7.62 x39mm and 5.45 x 39 magazines. The Multi-Mission Pouches accept 1911, Glock, Sig, M&P, XD and other standard double or single stack pistol magazines, as well as many handheld lights, multi-tools, and 37mm/40mm grenades. • 4 Multi-Mission Pouches with Hypalon® magazine retention tabs. 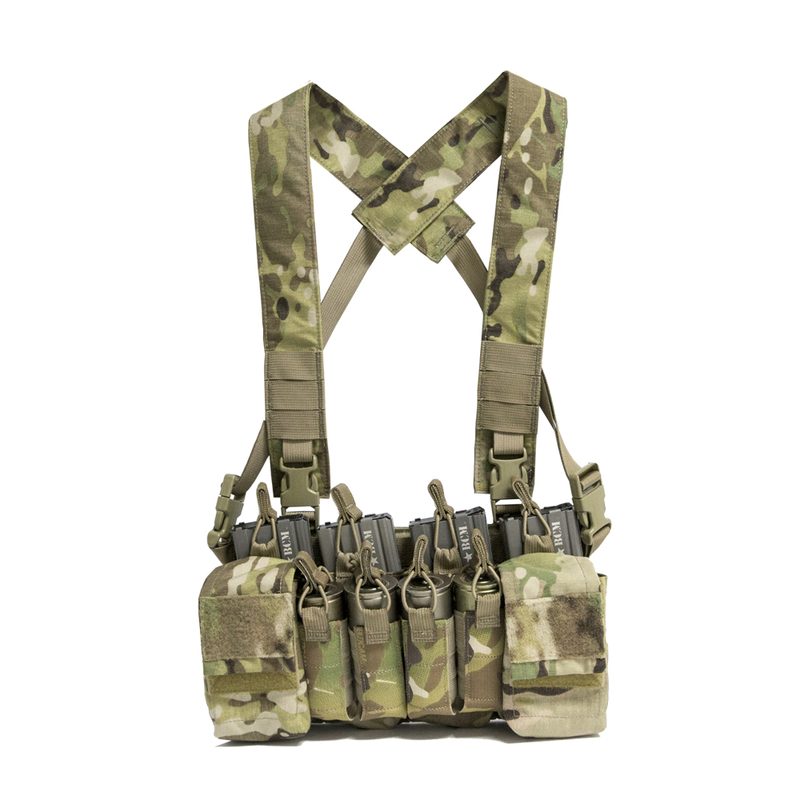 Chest Rig is SwiftClip compatible with most Mayflower and Velocity Systems Carriers. For additional security of the chest rig when attached to carrier, use Mayflower Swift Clip Kit. 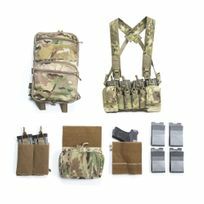 Chest Rig can also be attached to other MOLLE carriers using Down Range Gear's QASM Vertical Connector buckles.